 Few people dislike the design because its color is black in dominant. 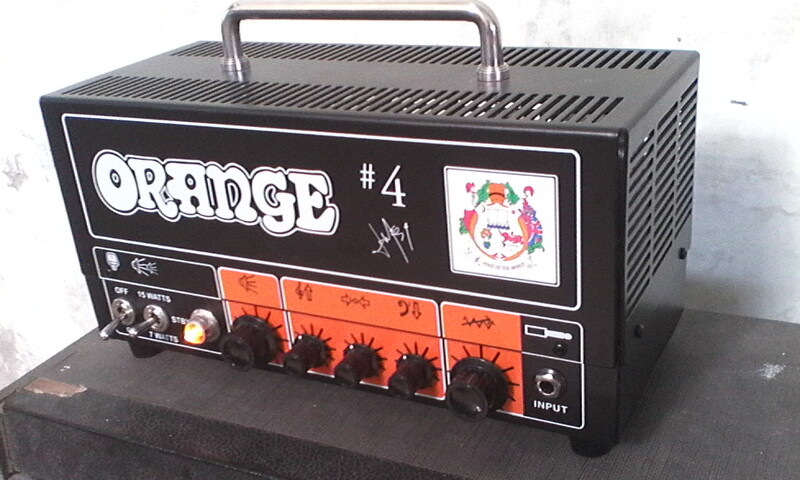 Yes, I’ve heard that from friends, they need the orange color for Orange Amps as the symbol of prestige. Luckily my eyes isn’t as picky as my ears. I’ve read and watched Orange Jim Root Terror TT15JR reviews then I made up my mind. My first need is the power output and this terror has 15 & 7 Watts Output Power which exactly what i needed, and then it becomes more than i needed for the volume because it’s damn LOUD! for a 15 watts amp. Somehow i just like it because i can take it onstage and rock it all night. – THE TUBE DISTORTION. 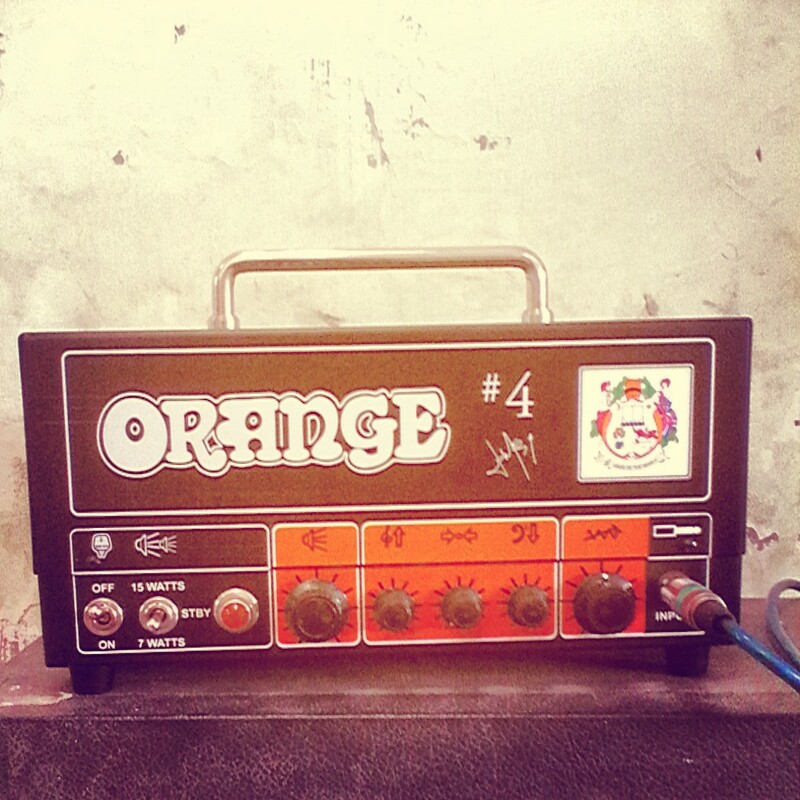 Orange #4 Jim Root Terror TT15JR head has great cranked tube sound. the over driven sound itself is enough for you to get punchy riffs or distinctive solo sound, simply by using the three band equalizers on this amp. the picture only design is very cute though, i can feel the taste of its high quality design. consider to add some sound color into it by using overdrive pedals, you’ll get what i meant. – THE VERSATILE CLEAN SOUND. the clean sound of this amp is like a big arena where you can play any games in it. You can push it with your drive pedal and it will take you exactly to some place your pedals bring you. I use Boss GT-8 digital effects and Empress Multidrive analog pedal and for the first time, i can hear how equalizers works exactly, such like the definitive differences between lo-mid and mid-hi frequencies. overall, i love this terror. 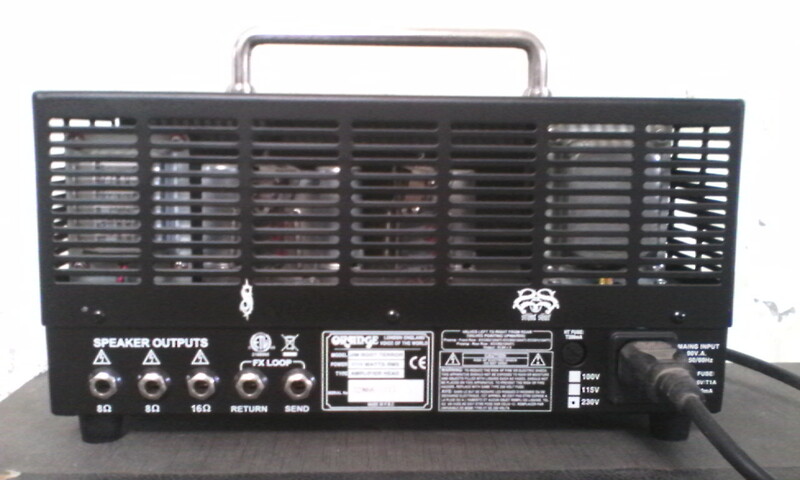 one thing i dislike about this amp is, the logo is printed on sticker, and i do hope this will come in two-channels amp. But at this state, it works just great. I can put the drive pedal in front and my delay pedal on FX loop, that’s enough, for now.